In addition to many residential buildings and budget hotels that are being converted into tourist standard hotels, the numbers of service apartments are also increasing in Thimphu. There are also many who arrange and offer lodging services to tourists without a valid business license. Such practices are becoming rampant in the tourism industry affecting the hoteliers who operate their business with a legal license paying taxes to the government. 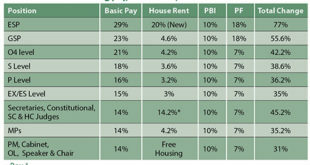 The above practice is also leading to a growing housing shortage as people increasingly find it difficult to get apartments and rents are on the rise. According to Thimphu thromde, in addition to the existing 286 hotels in Thimphu, thromde approved additional 50 hotels in 2017 and 2018 which will be completed by the end of 2019 and 2020. He said, “In the past, we felt that there are so many residential building constructed and we were worried that so many houses will be left empty but we couldn’t stop them. Similarly, we cannot stop people from constructing hotels as it will depend on the market force”. “Today, most of the people who are constructing hotels have their own travel agents and tourists who come through travel agents get accommodated in their hotels and so those hotels without travel agents will be affected”, he added. He said, “Conversion of apartments into hotels, especially in Norzin Lam is good and now I think we should have more hotels, shops, entertainment centers in Norzin Lam because it should be pedestrianized. We are promoting it as an entertainment center”. 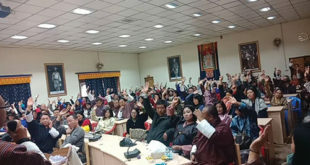 Thimphu thromde’s building inspectors said that most of the budget hotels located in Norzin lam are either being converted into tourist standard hotels or will be converted in future. While the Thrompon is of the view that there are enough residential units the conversion of residential buildings into hotels has lead to a growing shortage of apartments. There are several accounts of how people start booking apartments even when a building has just started construction. There are also increasing anecdotal accounts of families being asked to move out overnight as landlords convert their apartments into service apartments or unlicensed hotels. In areas like Motithang, Changangkha and Dechencholing, which are considered as residential areas, more numbers of hotels are coming in. 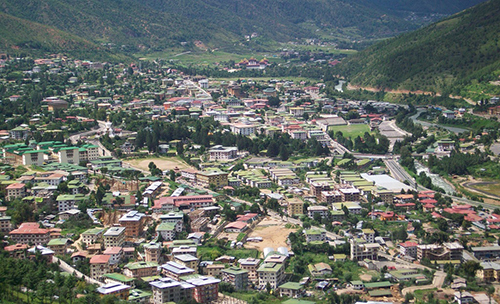 About 3 hotels in Motithang and 3 in Changangkha are under construction. In Changbangdhu and Changzamtog, the number of service apartment is increasing and in Babesa, residential apartments are being converted into hotels. This huge conversion of residential properties into hotels and service apartments is an impact of the huge growth in regional tourists in the last few years. It is also an indication that Bhutan is now set on the path of mass tourism and is bearing its impact. 2011 saw 16,418 regional tourists compared to 47,610 dollar paying tourists but by 2015 it became 97,548 regional tourists against 57,537 international tourists. The regional tourist numbers then ballooned to 183,287 in 2017 almost doubling within two years. In 2018 of the total 274,097 tourists 202,290 were regional tourists and 71,807 were international tourists inclusive of leisure, official, business and others. The other major reason for this is the fact that generous fiscal incentives since 2010 have given tax breaks on importing hotel fixtures and also tax breaks after setting it up. With a drastic increase in the number of hotels in contrast to a decrease in demand for Bhutan, it has resulted in low occupancy. Residential properties accommodating tourists have become a rampant practice in tourism industry affecting hoteliers and also the supply of apartments for families. According to HRAB, these accommodations are listed on an online travel booking site called Airbnb and such accommodations are being sold as homestays, guest house and serviced apartments which are rampantly growing all across the country, especially in Thimphu and Paro. Airbnb feedback mechanism clearly confirms the use of these accommodations by tourists and such accommodations have been functional for the last two years. Hotels make up the overwhelming majority of Tourism loans which jumped from Nu 6.875 bn in 2013 (fifth position) to Nu 27.93 bn in 2018 reaching the second position. The concern is with such a huge rush in this sector there already is an oversupply of rooms and so many investors stand to lose money. The RMA is also concerned about the larger impact of failing hotels on banks and a recent report by it has recommended clamping down on hotel loans and discouraging more hotels. The HRAB official further said, “As per the Airbnb feedbacks, most tourist are fed food cooked by the owner of the properties. Thus basic standards of safety and hygiene are also questionable because most of them are not licensed”. 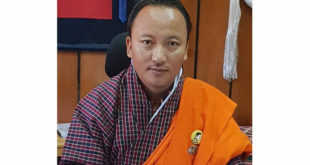 HRAB has recently submitted its concern to Tourism Council of Bhutan and Department of Small and Cottage Industry under Ministry of Economic Affairs and it is looking forward to their intervention and support on this matter. Tourism Council of Bhutan said that though it is new to Airbnb, it will look into such issues.